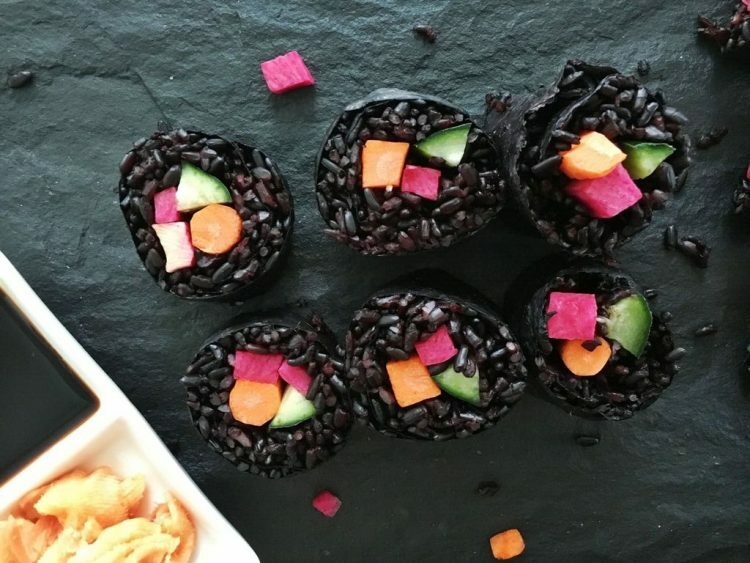 Black rice is more nutritious than either white or brown rice. It contains more antioxidants, fiber, and protein per cup. Plus, it’s inky black hue comes from anthocyanins, powerful flavanoids that various studies suggest may offer protection against cardiovascular disease and even cancer. You can fill the center with what ever veggies your heart desires, but I chose these because the vibrant pop of color makes me happy. The pink is from watermelon radish, orange from carrots, and green from cucumber. You can make different variations by adding sprouts, jicama, avocado, or bell peppers. 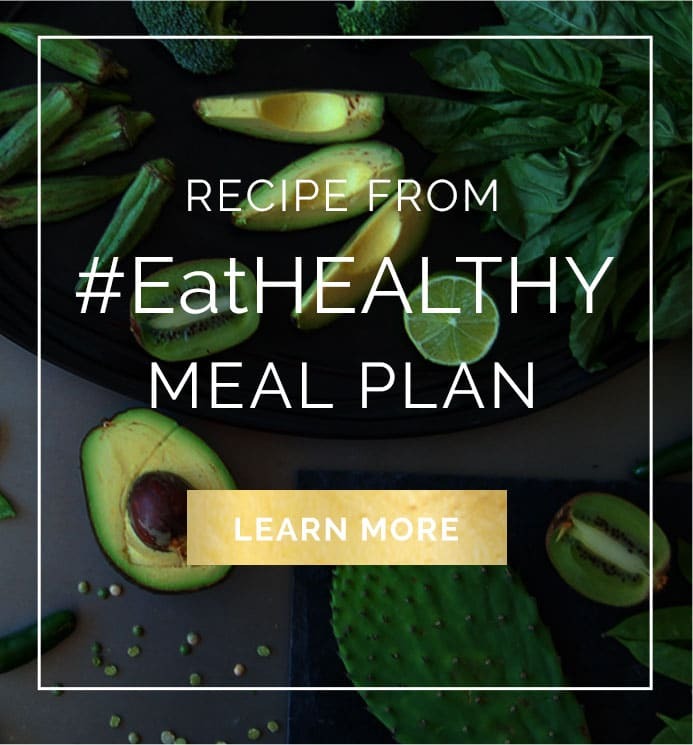 A lunch that looks good, tastes good, and keeps you healthy? Yes please! Bring water and black rice to a boil. Cover and bring heat down to low. Allow to cook for about 25-30 minutes, or until all water is absorbed. Meanwhile, prepare your filling ingredients. Cut the cucumber lengthwise into quarters, then use your knife to remove the seeds. Next, cut each quarter lengthwise into two or three strips. For the carrots, slice each lengthwise, so they should be about the size of the cucumber strips. (If using thick carrots, cut into thirds or quarters.) Steam the carrots to soften by placing them in a steamer basket over boiling water. Put lid on and steam for 3-4 minutes, or until tender. Make the tezu (sushi rice vinegar) by combining all ingredients in a small bowl and whisking well with a fork. When rice has totally cooled, lay nori out on top of a piece of plastic wrap with the long edge perpendicular to you. Take about ¼- ½ cup rice and spread out evenly in a thin layer on top of the nori, leaving about a 2-inch edge on the right side. Use a wet sharp knife to cut into 6 pieces. Repeat with remaining nori and ingredients. Serve with tamari (gluten-free soy sauce) and pickled ginger.